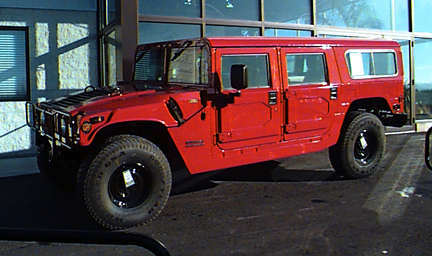 Hummer '99 Wagon @ Lynch Hummer. Please E-mail or call us for current price list (see below). According to new manufacturer guidelines, our New 1999 Hummer prices are too low to advertise and still remain eligible for factory incentives (no kidding). Our banned prices are still available via phone, fax, or E-mail on demand, upon request.